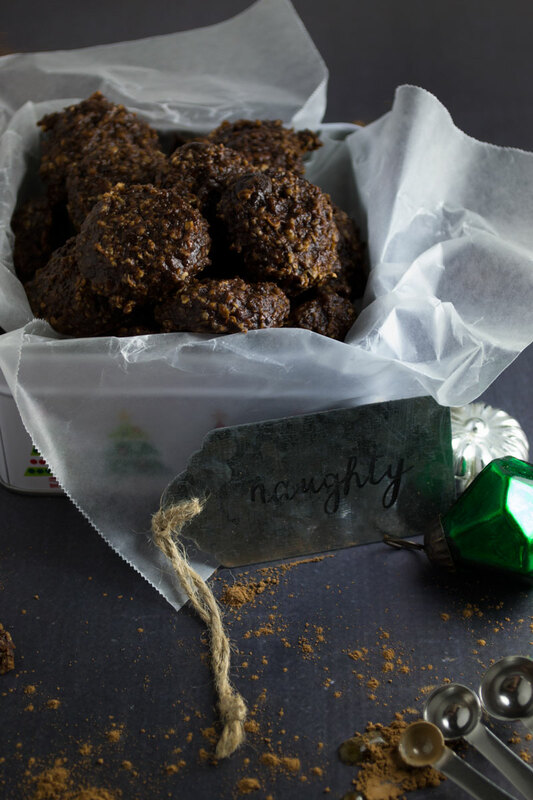 Fudgy dense double chocolate oatmeal bites are a great start (or end) to your day. Everyone deserves a sweet treat now and again. These are vegan, gluten/nut free and delicious! 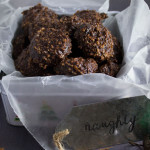 Well, I gave you guys fair warning with my Mini Gingerbread Oatmeal Bites, double chocolate oatmeal bites were on their way. Now here they are in all their fudgy glory! 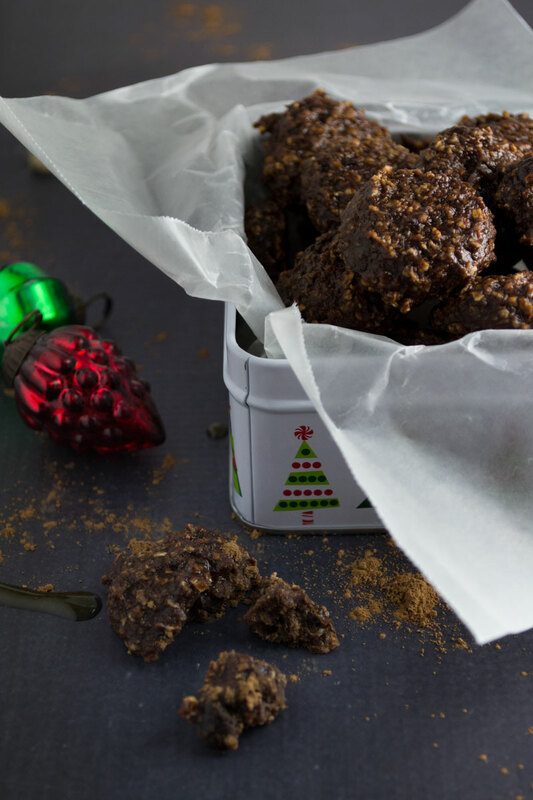 These little sweet bites are dense and chewier than my gingerbread version. Because of that I tend to think of these more as a cookie instead of a breakfast snack. That’s not saying I didn’t eat these for breakfast, just that I ate them late at night as well. Since its the holiday season my brain has pretty much been on all things sweet. I’ve been baking cookies for parties, cookie swaps, even work events. Any excuse I can get to bake something sweet I’m taking it. Since I know what it’s like to be excluded because of dietary restrictions I try to make a lot of my recipes free of whatever I can. That means these delicious little bites are gluten free, nut free, and vegan. If you need some other gift ideas for those with dietary restrictions check out my last post Holiday Gift Ideas for those with Food Allergies or Sensitivities. Speaking of holiday. How cute is that little naughty gift tag? Thank you Target dollar section. These cookies definitely have a little bit of naughty in them with the extra chocolate chips mixed in. Give these a shot for your naughty side. What cookie flavors speak to you this season? Comment below! Don’t forget to follow my social channels and subscribe to get exclusive content just for you. 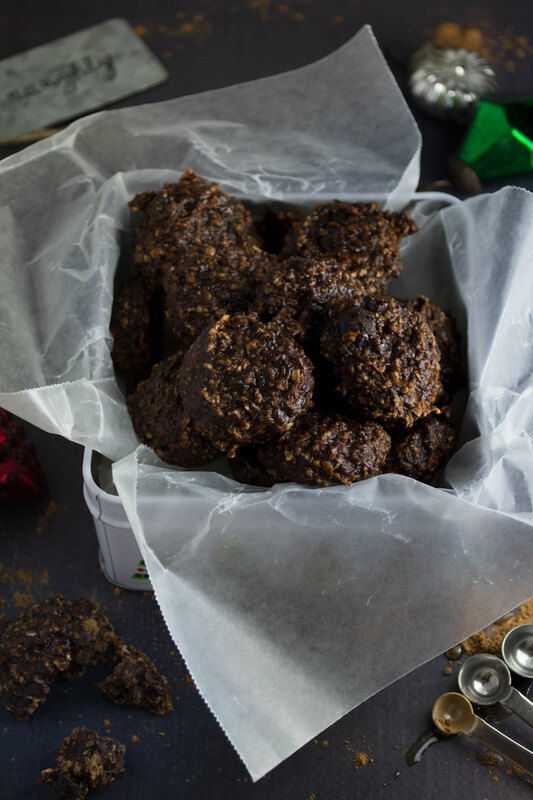 Fudgy dense double chocolate oatmeal bites are a great start (or end) to your day. Everyone deserves a sweet treat now and again. Vegan and delicious! Ooo these look so chewy and delish! Chocolate chocolate everything for me!